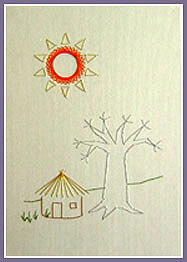 The African Baobab Tree and a Flaming Sun set a simple African Scene. 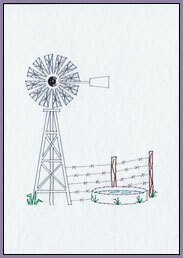 Worked in a variety of Threads on a Cream Embossed Card. A typical African scene along the roads of the Karoo, an area where the water comes more often from the ground than from the sky! Worked here in various metallics on a White Embossed Card.